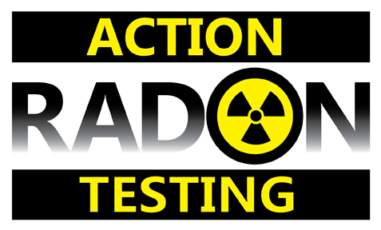 Different Types of Radon Testing - Schaefer Inspection Service, Inc.
Radon is a naturally occurring radioactive gas and decay product which results from the breakdown of uranium in soil and rock and enters your home through the foundation. It is the second leading cause of lung cancer, after smoking. The EPA recommends every home be tested for radon, during the purchase process or anytime for general knowledge. Once you’ve made the decision to test your home for radon there are several options for how to properly test, whether you want to self-test or use a certified measurement company. The main difference in radon devices are that they are either passive or active testing devices. All radon tests require closed house conditions from 12 hours prior to testing through the minimum 48-hour period. Passive monitors are typically small and don’t require a power source. They need to be sent to a laboratory for analysis. Charcoal canisters, electret ion chambers, or alpha track detectors are the most commonly used passive devices. Usually, two devices will be set and then averaged. If you decide to use one of these devices make sure you are using one from a qualified laboratory. An active device requires power to function. 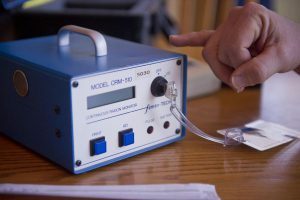 The most common active device is a continuous radon monitor (CRM). CRMs can integrate time into the radon measurement, at a minimum on an hourly basis. With these monitors you are able to find your average radon reading based on a minimum of 48 hours of data. At Schaefer Inspection Service we use only CRM devices. Our monitors provide hourly radon readings, as well as hourly carbon monoxide results to check for un-combusted fuel in the home and air. Our radon reports will also provide hourly barometric pressure, temperature and relative humidity results, which affect the radon levels. With these monitors we can provide more detailed results to our clients, as well as determine if there is any tampering to the test. Although these tests typically cost more than a passive test, they will ensure a more reliable and detailed result. The action level set by the EPA for radon mitigation (correction) is 4.0 pCi/L. This result is an average of the hourly readings during the test. If the result is above the action level mitigation is needed. This will be the topic of the next blog.